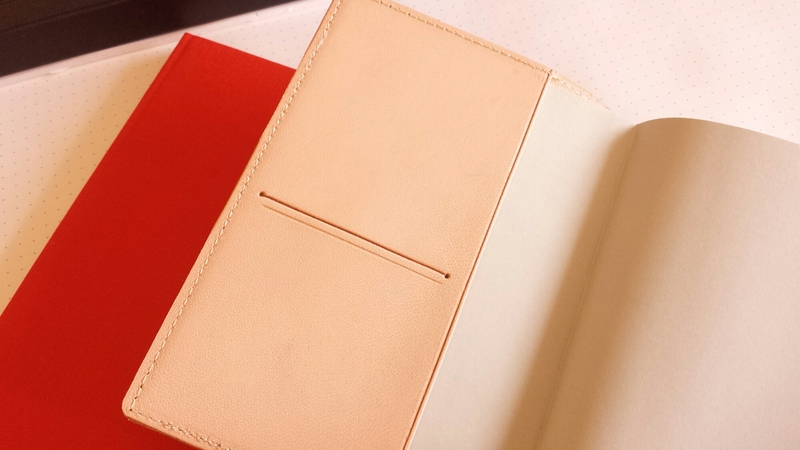 I think I’ll be going with Leuchtuurm again for my daily planner (effectively a journal, but I need the dated pages to guilt me into writing every day :) ). Sorry to hear about your move to the Netherlands falling through – hope something as good, if not better, comes along! Wow, thank you for the links, I didn’t know about Marks before. I have always been in awe of people who print out their own agendas and schedulers! The weekly format I prefer is pretty basic and is available from many brands, including Moleskine (which I used for a few years before the paper quality deteriorated), so I guess I’m fortunate there. Is this the same one that Lexikaliker has? I guess how they tan changes how the leather darkens. My Sonnenleder pencil case got very dark over time. My leather briefcase on the other hand got darker, but not so much. Do you know how to get little marks and scuffs out of the leather? I don’t know much about leather so I can’t even guess how this would tan compared to other leathers, but in the pictures I saw, the covers didn’t seem to have darkened much. They looked rather pale, still, with only the color tone changed from peach to a yellowish beige. But we’ll see what happens! I hope it doesn’t get too shiny. As for the scuff marks, sometimes a little rubbing helps, but I was told to… well, just accept them ;) That said, there are certain types of leather that scratch and scuff less, I think. This is a beautiful cover, Sola! I hope you will enjoy using it. I need to do a bit better with planner next year, as this year I am not very fruitful with it. Lots of catch-up I need to do. Hopefully once the master’s program ends, time will become more abundant! I hope to be able to post some good news in the new year. Hope lots of good things happen to you in 2016! It looks beautiful! I like the peachy color as is, too, but I’m also looking forward to how it will age in your hands. 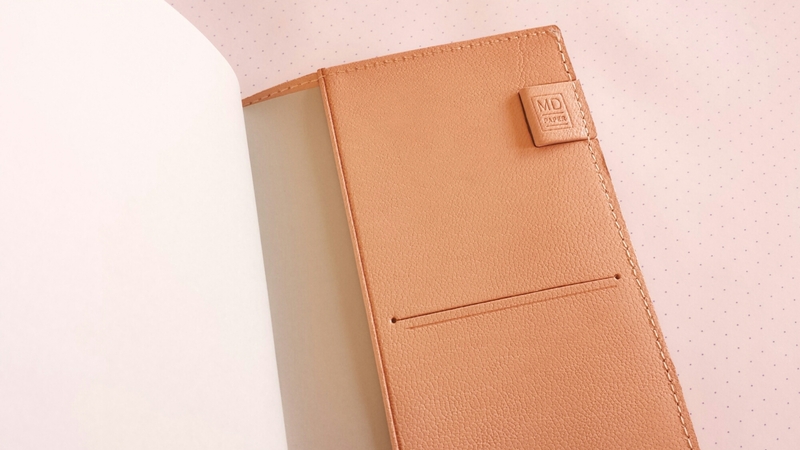 I have to say, I’m really drawn to the Midori MD line, including the leather cover; it seems they will continue to expand it. 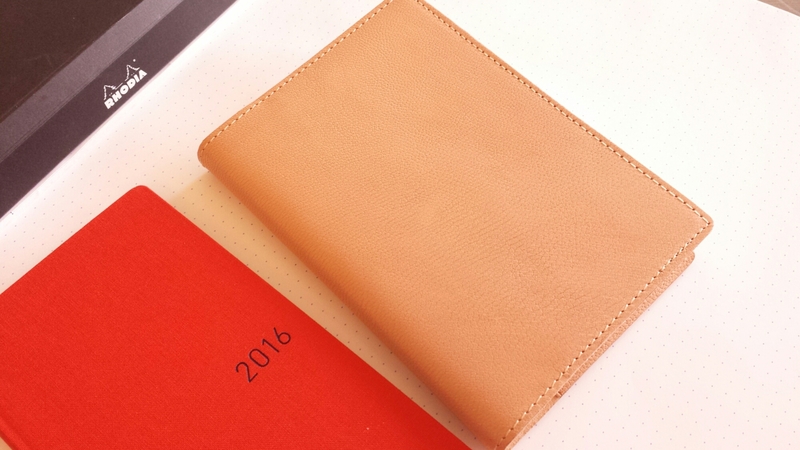 For 2016, I seriously considered the MD Notebook Diary (1page per day) as an alternative to Hobonichi, but once I found out its PVC cover is not removable, I gave up on the idea. Instead, I’m going with what I can find locally: Hobonichi + Muji Weekly planner (without its cover) + Midori Pouch Diary in A5 (just for its denim cover, http://www.midori-japan.co.jp/diary2016/item/pouch.html). Good luck on your transfer, Sola! And Happy Holidays!! Thank you, and happy holidays to you to, Jinnie! The MD Notebook diary was a perennial presence on my list, but it somehow never made it to the top ;) I still have a few regular MD notebooks that I need to use up, but the thing is that I find the paper ever so slightly grayish(?! ), especially compared to L!FE, and a bit too absorbent, so that the strokes from my pens come out thinner than is normal. I don’t think I would have been able to fill in the pages with an MD diary anywhere near as with my Hobonichi – in that sense the Hobo really worked for me!